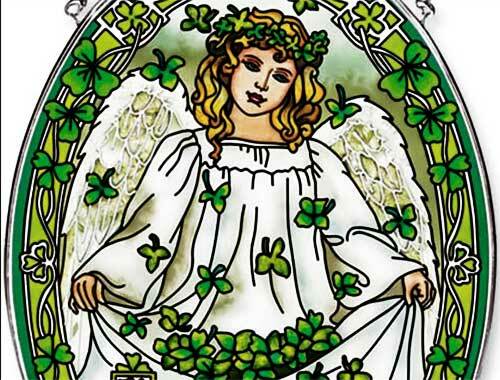 This Celtic stained glass suncatcher features a colorful Irish angel that is accented with shamrocks galore. 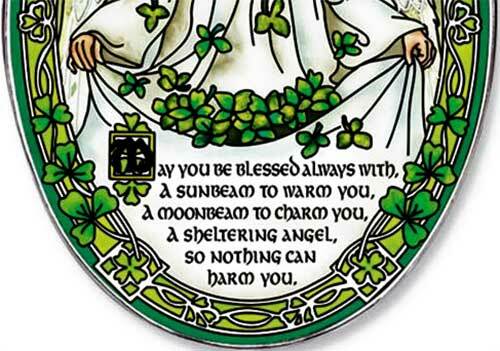 The hand-painted angel suncatcher is also enhanced with an Irish blessing on the 6 1/2” wide x 8 1/2” tall oval design that is constructed of textured glass with a metal rim. 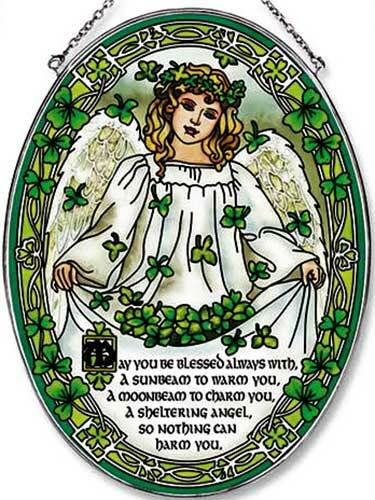 The Irish suncatcher is ready to hang in your window with the included metal chain; it is gift boxed with a shamrock history card, complements of The Irish Gift House.